Celebrity Inspired: Reese Witherspoon's spring style + Giveaway! I haven't made a celebrity inspired look in a while so when i found Reese witherspoon's look, I knew I have to post it. I like it because it is the perfect lady like spring outfit and I think it is very easy to recreate with basic pieces that we probably have in our wardrobe or are pieces easy to find like the floral blouse which is always a must clohthing item for spring. Reese is wearing the Tory Burch "Cora" dress ($325) tucked into a navy wool skirt by Misha Nonoo ($295) but I was able recreated it for just $30, minus the bag of course. To see where you can find all the pieces on the set, just read the details at the end of the post. Ella lleva puesto el Vestido floral "Cora" de Tory Burch ($325) dentro de una falda de Misha Nonoo ($298) y yo lo recree por $30 sin contar la bolsa que pueden encontrar en $50 en Target. Para saber donde conseguir las piezas que usé, miren los detalles hasta el final del post. And let's move on to the giveaway!! 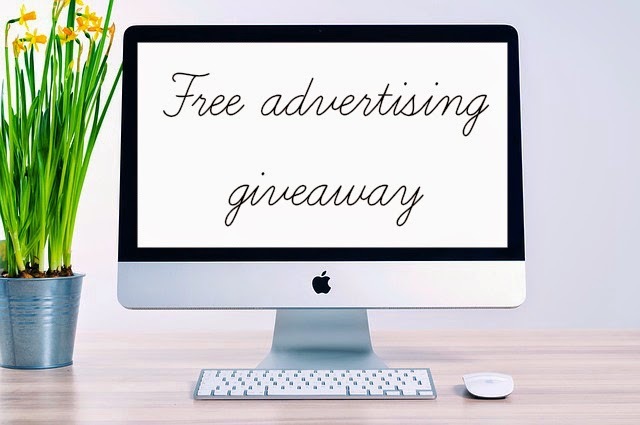 I teamed up again with two lovely bloggers (check their blogs here: Mind of a fashionista, The always believer) to giveaway to three lucky winners one ad spot in our blogs. If you complete all the enters you will have 29 ways to win. For an extra entry tag two friends in the instagram post about the giveaway. ps. If you don't feel in a lucky strike or just don't want to wait for a month to have your ad spot , please check my advertisement promo of the month!! Ahora al sorteo!! Por segunda ocasión Dos bloggers (lean sus blogs aqui: Mind of a fashionista, The always believer y yo nos juntamos para regalarles 1 espacio publicitario por un mes en nuestros blogs. Tres ganadores van a ser seleccionados aleatoriamente y hay 29 oportunidades para ganar completando todas las entradas. Ademas para tener un punto extra pueden mencionar a dos amigos en la foto de instagram sobre el sorteo. Super facil! ps. Si hay alguien que no se sienta con suerte por el momento, o tal vez no quiera esperar todo un mes para tener su espacio publicitario, les invito a revisar mis promociones del mes y adquirir un pequeño lugar en The Color Palette ya mismo! Rules: Use the Rafflecopter form to enter. Giveaway ends 6/21 and is open worldwide. Winner will be notified via email. Good luck! Reglas: Usar rafflecopter para entrar al sorteo. El sorteo termina el 21 de junio y está abierto internacionalmente. Los ganadores serán notificados via e-mail. Buena suerte!